Mary Jo Bitner (1950) is een bekend professor en actief onderzoeker op het gebied van diensten- en servicemarketing. Naast baanbrekend onderzoek binnen de dienstensector, heeft zij ook bijgedragen aan de ontwikkeling en totstandkoming van het marketinginstrument: servicemarketing: 7 P’s, samen met Bernard H. Booms (1981). Mary Jo Bitner behaalde haar doctoraat (Ph.D.) aan de Universiteit van Washington. Haar hele academische carrière staat in het teken van haar interessegebied; diensten- en servicemarketing. Ze was vanuit de Arizona State University (ASU) één van de oprichters van de faculteit Centrum voor Dienstverlening & Leiderschap. Deze faculteit is nu is één van de belangrijkste universitaire centra voor studies over dienstenmarketing en management. In de jaren ’90 leidde Mary Jo Bitner de ontwikkeling van de W.P. Carey MBA, School of Business succesvolle en een 1-jarige specialisatie programma voor het vakgebied dienstenmarketing. In de praktijk heeft Mary Jo Bitner al haar diensten bewezen en heeft tal van organisaties geadviseerd waaronder AT & T, Ford Motor Company, Geel Corporation, Mayo Clinic, TriWest Healthcare Alliance en RR Donnelley op het gebied van de kwaliteit van de dienstverlening en klanttevredenheid. Momenteel onderzoekt Mary Jo Bitner welke manier klantbediening en de strategische rol van technologie het beste kan worden ingezet bij het bepalen en beïnvloeden van klanttevredenheid over geleverde diensten. 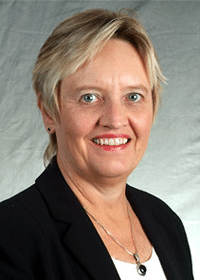 Mary Jo Bitner publiceert regelmatig in de Journal of Marketing, Journal of Business Research, Journal of Retailing, Journal of Service Research, International Journal of Service Industry Management, Publicatieblad van de Academie van Marketing Science en de Academie voor Management Executive service. Bekende publicaties en boeken van Mary Jo Bitner et al. 2012. Services marketing: Integrating customer focus across the firm (No. 2nd Eu). McGraw Hill. 2010. Moving Forward and Making a Difference: Research Priorities for the Science of Service, Journal of Service Research – J SERV RES , vol. 13, no. 1, pp. 4-36. 2010. Frontline employee motivation to participate in service innovation implementation, Journal of The Academy of Marketing Science – J ACAD MARK SCI , vol. 38, no. 2, pp. 219-239. 2008. The service imperative, Journal: Business Horizons, vol. 51, no. 1, pp. 39-46. 2007. Service Blueprinting – a practical technique for service innovation; California Management Review, Bd. 50 (2007/08), edition 3, S. 66-94, ISSN 0008-1256. 2006. The evolution and discovery of services science in business schools, Journal: Communications of The ACM – CACM , vol. 49, no. 7, pp. 73-78. 2006. Services marketing: Integrating customer focus across the firm. 2005. Choosing among alternative service delivery modes: an investigation of customer trial of self-service technologies. Journal of Marketing, 69(2), 61-83. 2005. Service customization through employee adaptiveness. Journal of Service Research, 8(2), 131-148. 2003. The influence of technology anxiety on consumer use and experiences with self-service technologies. Journal of Business Research, 56(11), 899-906. 2003. Servicescapes – the impact of physical surroundings on customers and employees, Operations Management; Vol. 3, London 2003, S. 500-527, ISBN 0-415-24927-9. 2002. Implementing successful self-service technologies. The Academy of Management Executive, 16(4), 96-108. 2000. Self-service technologies: understanding customer satisfaction with technology-based service encounters. Journal of marketing, 64(3), 50-64. 2000. Technology infusion in service encounters. Journal of the Academy of marketing Science, 28(1), 138-149. 1998. Relational benefits in services industries: the customer’s perspective. Journal of the academy of marketing science, 26(2), 101-114. 1998. Self-service technologies: extending service frameworks and identifying issues for research. Marketing theory and applications, 9, 12-19. 1997. Customer contributions and roles in service delivery. International journal of service industry management, 8(3), 193-205. 1995. Building service relationships: it’s all about promises. Journal of the Academy of Marketing Science, 23(4), 246-251. 1994. Encounter satisfaction versus overall satisfaction versus quality. Service quality: New directions in theory and practice, 72-94. 1994. Critical service encounters: the employee’s viewpoint. The Journal of Marketing, 95-106. 1994. The development and emergence of services marketing thought. International Journal of Service Industry Management, 5(1), 21-48. 1994. The internal service encounter. International Journal of Service Industry Management, 5(2), 34-56. 1993. Tracking the evolution of the services marketing literature. Journal of Retailing, 69(1), 61-103. 1992. Servicescapes: the impact of physical surroundings on customers and employees. The Journal of Marketing, 57-71. 1991. Mutual understanding between customers and employees in service encounters. Advances in Consumer Research, 18(1), 611-617. 1990. Evaluating service encounters: the effects of physical surroundings and employee responses. the Journal of Marketing, 69-82. 1990. The service encounter: diagnosing favorable and unfavorable incidents. The Journal of Marketing, 71-84. 1981. Marketing strategies and organization structures for service firms. In Donnelly, J; George, WR. Marketing of Services. Chicago, IL: American Marketing Association.